CURRENT clients, please pay with PayPal or credit card below. 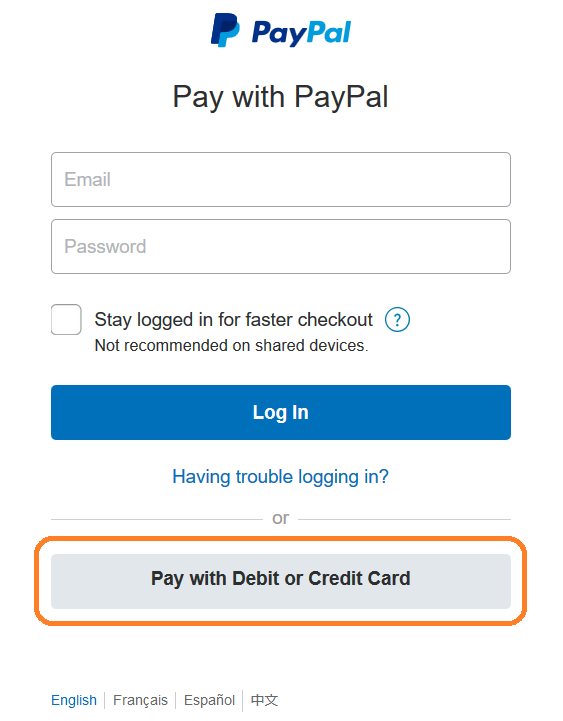 No Paypal account is required to pay us with your debit or credit card. First click the above "Pay Now" button. On a following page as seen below, scroll down the page and click "Pay with Debit or Credit Card" as circled. Then, you will be directed to enter your card info. Submit and that's it!